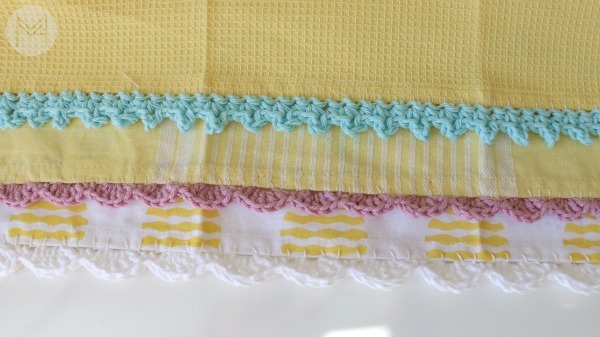 In order to attach the crochet border to the kitchen towel (pillow case, handkerchief etc.) 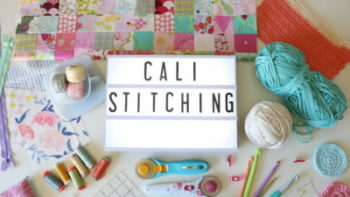 you must first put a blanket stitch. I didn’t cover that again in this video, but you can see the detailed instructions in the scalloped video HERE. 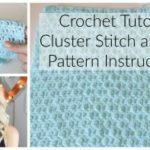 For the picot edge, you do not need to have a specific number of stitches done for the blanket stitch. Start on the back side of the towel. Attach cotton yarn (I used sugar and cream) with a knot. 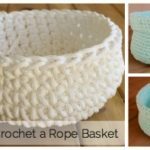 Insert the hook and draw yarn through, chain 1 and then single crochet in the same stitch. 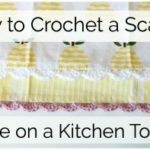 Single crochet (sc) in every stitch going across your towel. 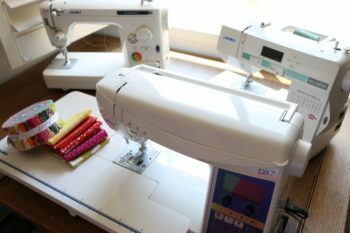 When you reach the last stitch, chain 1 and turn your work. Sc in the first stitch, single crochet in the next stitch and then picot. Picot = chain 3, slip stitch in the back loop of the first chain. Repeat 2 sc, picot until you reach the end. 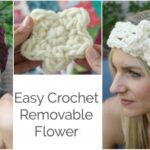 I hope you enjoyed this little mini series on crochet edging! Let me know what you think in the comments! 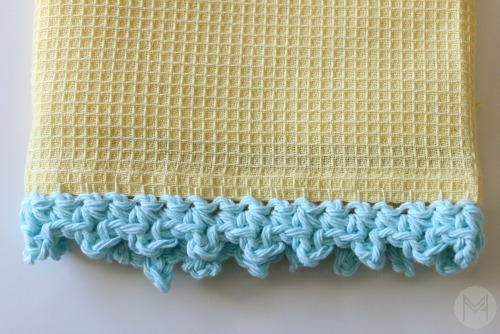 Here is the picot edging video! 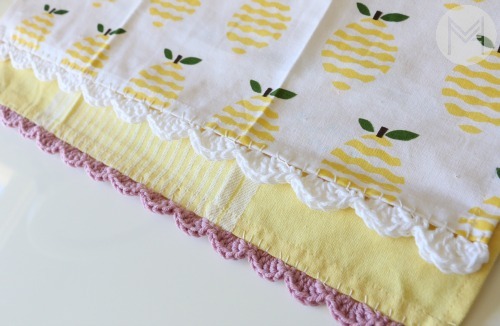 Here is all of the information for the scalloped edging in case you missed it!